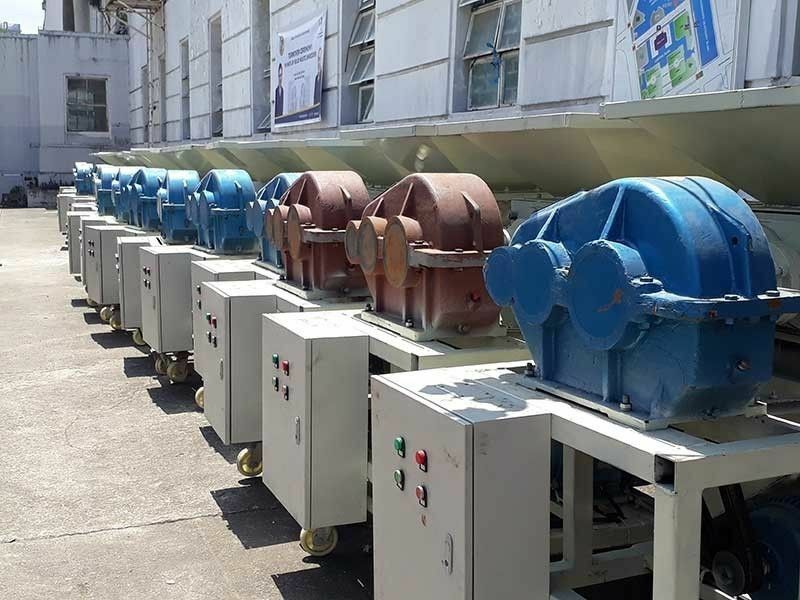 NINETEEN units of solid waste shredder worth P8.9 million were turned over by the Capitol to local government units (LGUs) that already have an approved 10-year solid waste management plan on Monday afternoon, March 25. Beneficiaries include Bogo City and the towns of Asturias, Bantayan, Ronda, Boljoon, Borbon, Cordova, Ginatilan, Madridejos, Pilar, Pinamungajan, Poro, San Francisco, San Remigio, Sta. Fe, Sogod, Tabuelan, Alegria and Tudela. The turnover ceremony was led by Cebu Gov. Hilario Davide III, Capitol department heads, and town mayors and representatives. Each unit costs P468,888.86 and can shred up to 400 kilos of waste in an hour. It can shred glass, biodegradable waste, plastics and coconut husks, among others. Capitol’s solid waste management focal person Maria Rhica Evilla said they prioritized areas that are away from the mainland to improve their solid waste management program. “Ang islands man gud, lisod i-transport ang basura unya bulky, wala pa gyud silay kalabayan og basura (It’s difficult to transport wastes in the islands. They also don’t have a waste disposal facility there),” she said. Evilla said the solid waste shredders were charged to the 2018 budget of the Provincial Environment and Natural Resources Office (Penro). A second batch of shredders will be turned over to five LGUs soon, and the budget this time will be taken from the funds of the Provincial Disaster Risk Reduction Management Office. During the turnover ceremony, Penro officer-in-charge Rodel Bontuyan said the shredder will help the Province improve its solid waste management system. He said the Province will also release P40 million worth of trucks for solid waste management of clustered LGUs. There is also a proposal to set up a sanitary landfill in Carmen town, which was endorsed to the Provincial Board (PB). “If the resolution is approved, the governor will be able to sign a public-private partnership agreement with the proponent for the disposal of wastes in the north,” he said.